Clients can self refer or alternatively be referred by their General Practitioner, Consultant, Coach, healthcare provider or insurance provider. To enquire about or to book an appointment please call 0121 323 3281. Minors (under 16) MUST be accompanied by an adult. Many dancers and athletes seeking treatment or screening related to their performance attend with their coach, dance teacher etc. This is encouraged and enhances the communication regarding treatment expectations, corrections, rehab and outcome measures. Your initial appointment will be a minimum of 45 minutes up to an hour with follow up sessions between 30mins - 90mins. To book injury screening appointments please inquire on 0121 323 3281 or click here to contact us by email to determine which screening and the length of appointment is required. 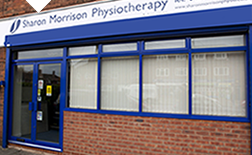 The clinic is registered and recognised as a physiotherapy provider with most major health insurance providers. Please check with your Private Medical Insurer to establish their protocol in the claims procedure to ensure that your claim gets covered from the onset of treatment. Please also ensure you obtain your authorisation code for your initial appointment. Please note a cancellation fee will apply if less than 24 hours notice is given.